WWE Battleground 2015 is out on DVD and Blu-Ray on Monday (14th September 2015) in the UK. You can pre-order here at WWEDVD.co.uk and all other reputable DVD stockists. Broadcast live on PPV (and on the WWE Network) from the Scottrade Center in St. Louis, Missouri, USA on 19th July 2015. The show features Seth Rollins defending the WWE World Heavyweight Championship against Brock Lesnar as the main event. There's also six other matches featuring the likes of Kevin Owens, Sasha Banks, Randy Orton, Bray Wyatt and Charlotte in action. TheWWE Tag Team and United States Championships are also up for grabs. The disc includes over an hour of special features, including three further matches. Michael Cole, Jerry Lawler and John "Bradshaw" Layfield provide the commentary. The opening bout is physical encounter between Sheamus and Randy Orton, which plays out to a lively and receptive crowd. The best singles match the pair have had, there's an argument to suggest the contest goes a little too long, but it's still a well-structure and enjoyable opener. 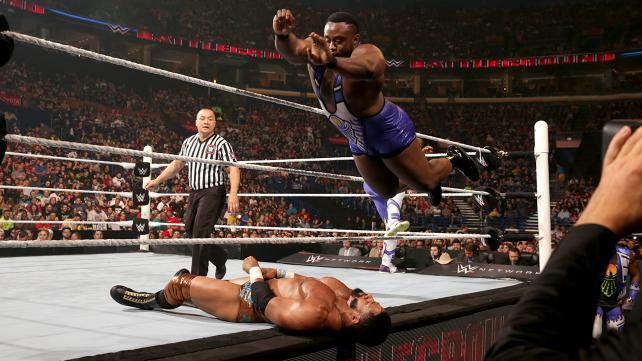 A Tag Team Championship clash between The Prime Time Players and Big E & Kofi Kingston of The New Day (with Xavier Woods at ringside) is a decent affair, with New Day bringing their signature blend of annoyance and entertainment. Roman Reigns locks horns with Bray Wyatt for a tremendous back and forth bout, with a high level of brutality for a regular singles match. The crowd not being behind Reigns hurts it slightly, with no man able to garner a great amount of crowd support either, a louder crowd could have pushed this big clash to the next level. A three-way women's bout between Charlotte, Sasha Banks and Brie Bella is a fine slice of action, that cleverly allows Sasha and Charlotte to become the back bone of the match. Whilst Kevin Owens and John Cena's United States Championship match can't quite live up to their two previous bout, this is still superb encounter, that is undoubtedly the best match on offer here. Fitting the mould of the previous two collisions, there's plenty of to and fro, with both men hitting big moves throughout the bout, this is a very easy watch for sure. The Miz and The Big Show's segment is a complete waste of time, I'd get the fast-forward button ready for that one. The entrance for the main event for the WWE World Heavyweight Championship seem to promise a big fight, between two of WWE's most popular acts, with Seth Rollins in particular putting on a great performance pre-bout. Unfortunately, Rollins' match with Brock Lesnar fails to provide on the expectations, as it's weird structure and diminutive run-time leave a sour taste in the mouth, the action is perfectly acceptable it just doesn't go anywhere. The surprise return at the end of the bout will have you sitting bolt up right if you haven't seen it before, as WWE uses the show to springboard toward SummerSlam. The special features kick off with an okay match between King Barrett and R-Truth ("King What's Up") from Battleground Kick-Off, in which the action is satisfactory but never threatens to become a must-see bout. 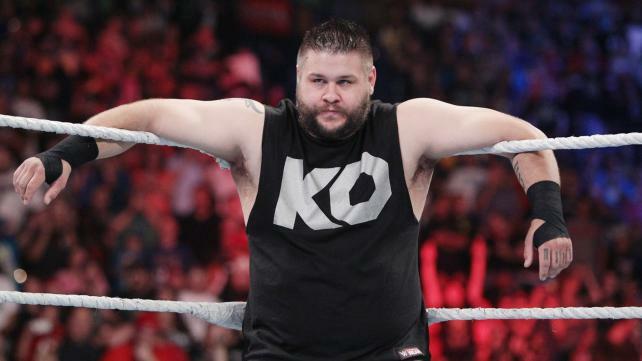 John Cena and Kevin Owens segment (Monday Night RAW, June 2015) is a home-run with Cena at his best and Owens matching him every step of the way. An eight man tag bout putting The New Day and Bo Dallas against The Prime Time Players and The Lucha Dragons (Friday Night Smackdown, June 2015) is a fun bout, with a cool opportunity to see Dallas and New Day together, but comes in a little too short to showcase all eight men properly. 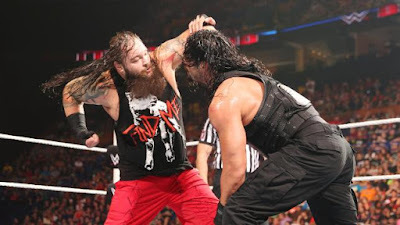 Dean Ambrose makes it onto the disc, teaming with Roman Reigns opposite Seth Rollins and Kane (with J&J Security) (Monday Night RAW, June 2015) in what is another decent encounter, under No Disqualification rules. The aftermath goes a little too long for my liking, but does include one cool spot which is worth checking out. 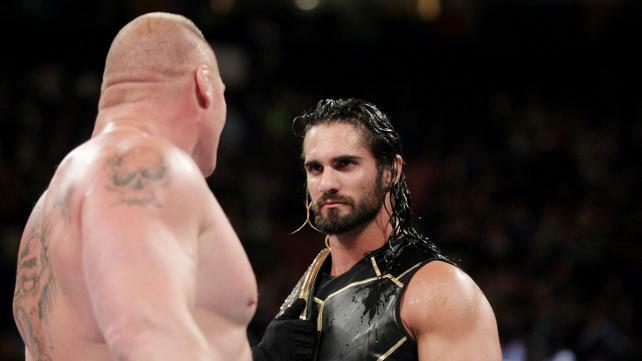 Seth Rollins and Brock Lesnar's contract signing (Monday Night RAW, June 2015) is a lengthy epic of a segment, taking a number of twist and turns before it's conclusion. Like many of these special features, if you weren't keeping track of WWE at the time, it's worth checking these out before watching the main feature to give you a better understanding of the various feuds heading in. This an above average show, with plenty of enjoyable action throughout. Kevin Owens and John Cena's bout stands out as the match of the night, although it doesn't top their previosu outings at Elimination Chamber and Money in the Bank. Elsewhere Randy Orton vs. Sheamus and Bray Wyatt vs. Roman Reigns are also worth checking out, if you've yet to see them. There isn't anything on the show (with perhaps the exception of Big Show and The Miz's segment) that is straight-up bad, but outside the the three mentioned matches, the rest of the show is distinctly average. The main event is a huge disappointment also. The special features here provide nothing that makes the Blu-Ray stand out, opposed to the DVD set, but with only a £1 difference in price on wwedvd.co.uk, there's certainly enough to justify paying that extra £1, with Kevin Owens and John Cena's segment standing out as the strongest extra provided. If you're looking for a disc to bridge the gap between WrestleMania and SummerSlam, then I'd recommend Money in the Bank or Payback ahead of this release. This release is available from WWEDVD, Amazon, Base, Zavvi, ebay and Blackwell online.